The discovery of helium in Tanzania was identified by exploration company Helium One Ltd, with assistance from Oxford and Durham Universities. The prospective recoverable helium resource was estimated by independent expert group Netherland Sewell and Associates Incorporated (NSAI) of Texas. 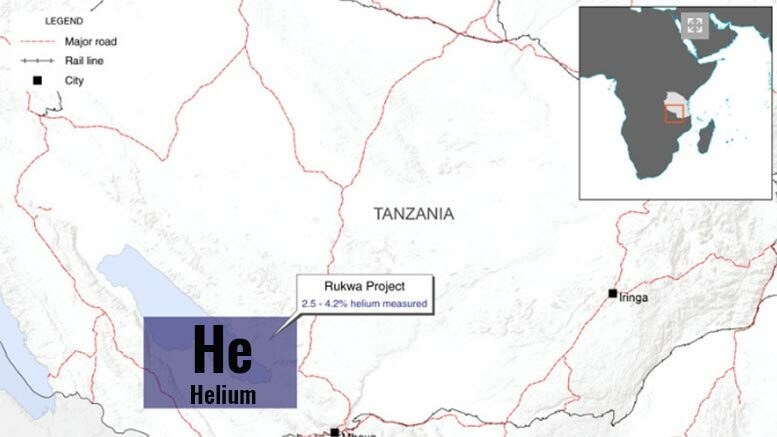 Helium One has planned an extensive work program to convert the helium resource in Tanzania into reserves and define additional prospects, the company indicates in its website. In 2008, 78% of the world helium supply came from the US, 10% from Algeria, and the rest from Russia, Poland and Qatar mostly. By 2013, Qatar increased its helium production and market share to 25% and became the second largest exporter after the United States. The US remains the world’s leading helium supplier with approximately 60% market share of global supply in 2015, followed by Qatar, Algeria, Australia, Canada, Poland and Russia. The major helium consuming regions are the US, Western Europe, Japan, China, and Asia. Helium is a noble gas with numerous applications, which include magnetic resonance imaging (MRI), welding, inert atmospheres, electronics, lifting, pressure and purging. MRI was the largest helium application in 2015, accounting for almost 19% of total consumption. New applications include hybrid air vehicles (such as Airlander and Lockheed Martin’s LMH-1), helium filled hard drives, and Google X Project Loon, which consists of balloons in the stratosphere that provide internet signal.